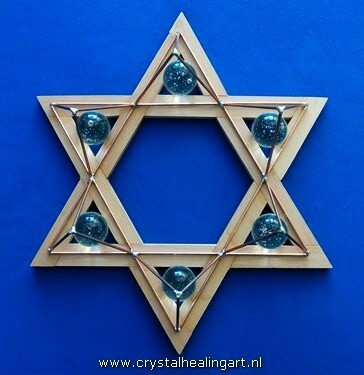 I had another StarGate Crystal experience similar to the StarGate Crystal I met at Mt. Shasta two years ago and the energetic presence I encountered at Mt. Baker this past summer. This newest experience was with a two-legged man at ECETI Ranch– James Gilliland. The similarities are that these CONTACTS almost knocked me over. So, what is this crystal power and what is it telling me? 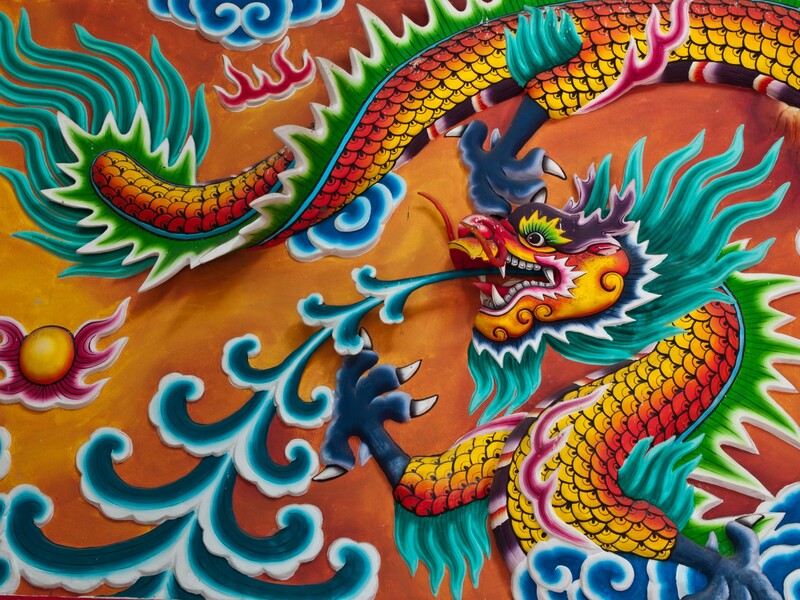 My understanding is that our connections create grid lines or Dragon Lines that hold powerful force. How do we harness this force for the good of the whole? In my experience we listen and watch for what is next. A very feminine way of Being. I am using this star image because it is the first image (via Third Eye) that greeted me when I arrived at ECETI Ranch, the Mt. Adams home of Enlightened Contact with Extraterrestrial Life. I find myself “course correcting” so that I stay balanced, and in “tone” with my highest Self. 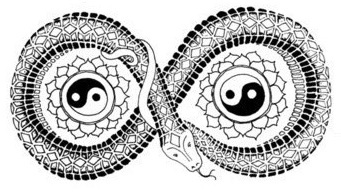 This new consciousness and activity is revealing how Light (yang) and Dark (yin) energies relate to one another and how they are giving life to the symbols in my previous post. Such is the language of the Sacred Feminine where symbols speak first and then with time, detailed logic tells their story. Light energy and Dark matter relate and dance with one another in a continuum of color and sound frequencies. Dark energy provides a healthy boundary and when I go over it I am out of balance. This relates to my emotions and eating habits. Both serve as indicators of my health and happiness. Finding balance and staying there is a lot of work as gravity pulls me to keep the bad habits in control. No longer judging good and bad with mental mind I am “attoning” to the sound and color of the moment, course correcting as I go. Now that I am working and commuting less I have more time to breathe! No longer under pressure to be here and there I am more relaxed, wandering leisurely through my day instead of pushing through. This expanded space gives me the opportunity to observe the nature of duality as energy flows through my matter. These two opposite forces move as ONE and their dynamic tension of e-motion (energy in motion) creates arcs and circles. When out of balance there is wobble and I start to notice making corrections to smooth out my course. If I am doing this, we, as a collective, are doing this. Why? Because we are ONE electromagnetic body of energy and matter. ONE body includes extraterrestrial life. I am catching glimpses of my relationship with certain space craft and beings from other dimensions. From what part of the electromagnetic continuum do these forms of matter express themselves? I associate brainwaves with this continuum and wonder what brainwave generates telepathy? Is telepathy not something all humans can learn? And could we not use it for “the good of the whole”? Truth is, this is happening now and people who are on the path of enlightenment are creating a “halo” around Mother Earth. This halo attracts more craft and extraterrestrial beings from outer space. Inner and outer space become ONE in a grand continuum. 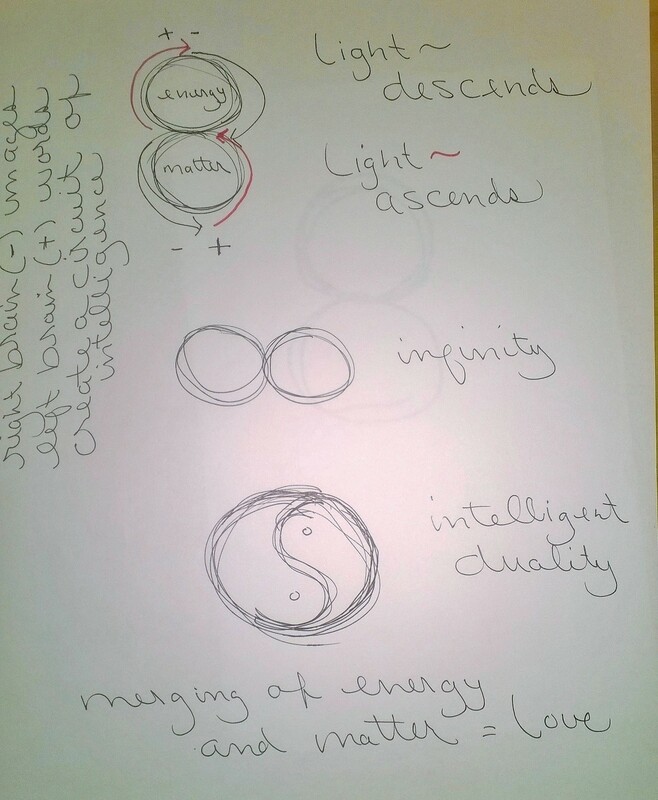 These images reveal to me the Oneness of Light and Dark and the cooperation of male (+) and female (-). I am starting to be conscious of how their Love plays out in my daily life. I will share more when they are ready to be born into consciousness and then out my mouth via hands at this website.